1. What first got you interested in games? I was born into a game playing family. Not that we sat down every Friday evening to a rousing bout of Monopoly, but games were always a part of the environment. 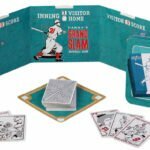 At a very early age, I was invited by my parents into lively games of Casino, Gin Rummy, Klabberjass and a slew of other games, including Scrabble and for kicks, something we all made up that resembled Mad Libs, well before Mad Libs ever hit the market. From there it was an easy step into a wider involvement with friends, all of whom had a few games. Having a few hand-me-down board games from my older brother didn’t hurt either. Bear in mind this was long before video games, so kids had little else to do on a rainy summer or weekend afternoon. At that point in time, this country had a fairly vibrant game industry. 2. 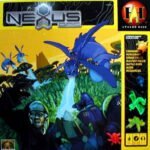 What first got you interested in DESIGNING games? I always had the desire to improve on a theme or mechanic. No matter the game, I always seemed to believe (rightly or wrongly) that I could do it at least a little bit better. Monopoly’s many variants are testament to the impetus for most of us to do things a different way. Then, as I tried and succeeded to do a thing or two a bit better, it opened my eyes to a whole new world. I really began to explore the possibilities of different mechanics and themes and enjoyed the creative aspect immensely. You might say I was hooked. 3. You’ve done games for GAMES Magazine, created kids games, card games, board games and even early computer games. Which of these fields do you enjoy the most? Designing computer games required programming skills that made the task much, much tougher. In the early days of Atari, Apple & Commodore, a designer also had built in memory limitations that meant finding a way to cram as much “idea” as possible into perhaps 48 kilobytes, a far cry from the gigabytes available to today’s programmers. In the case of Tutti Frutti, one of the first arcade games published for the Atari 800, it took literally months to squeeze the game into 48k. At the end, there were exactly and only four bytes of free memory. I savored that moment of completion as no other. In the strangest of places and in the most mundane ways as well. 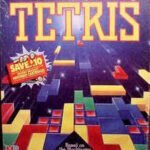 At one point in the late 1970s, when Parker Bros. was publishing board games with gimmicks and gadgets as their focus, I visited Industrial Plastics on Canal Street in Manhattan every week and just walked around their bins and bins of plastics for an hour or two, visualizing how certain “pieces” might fit together to create a gimmick. Those visits also enabled me to see interesting patterns that might become an abstract game or even a child’s action game. But the inspiration can come from just about anywhere. Babuschka (Ravenberger 1980), a game that utilized Russian “nesting” dolls, was born one day when I simply placed one small plastic box into a larger plastic box. All I had intended to do was to store the smaller box in the larger one to save space but in an instant, the idea for the game popped into existence. 5. Which comes first for you: the theme of a game or a specific mechanic? Either. I believe a good designer can and should be able to work from one to the other interchangeably. For instance, my first published effort was Western Publishing’s Wacky Wizard, which was born very simply from a desire to do a game about magic. On the other hand, Winds of Plunder originated with the mechanic of the shifting winds. The first theme “pasted” onto the shifting winds mechanic had nothing at all to do with pirates and neither did the second. 6. Which qualities do you look to instill in a game when creating a game? Well, they say there is nothing new under the sun, and that is mostly true when it comes to game design. The process usually involves finding a new approach to a mechanic or attempting to do something in as novel a way as possible. 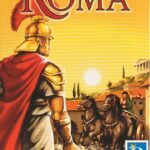 Reiner Knizia’s method of scoring for Euphrate & Tigris and Samurai is a perfect example. Also, player interaction is a must. Although there are a few successful games out there that almost play like solitaire, there is nothing like beating on an opponent to get the juices flowing. Finally, sometimes there is the desire to take on an approach I may not have worked with in years, such as the element of bluffing. 7. Some movie stars can’t bear to see themselves on screen? Others don’t have that problem. Do you enjoy playing your own games? To a degree. Bear in mind that I may have already played a design dozen of times. 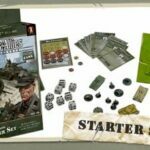 I played the predecessor to Tin Soldiers probably several hundred times before it was published. I don’t think any game can remain “fresh” forever. At some point, you can be played out, even if you still love the game. That said, I absolutely love Dynasties; the constant tension of trying to outsmart or bluff your opponent and the challenge of defining the importance of the individual provinces as the scoreboards change from dynasty to dynasty. 8. Besides your own designs, what games do you like to play? Wow, that changes from time to time as games get played out and new ones arrive fresh and inviting. But there are certainly quite a few that stand the test of time, what I would refer to as “classics.” Hare & Tortoise and El Grande for instance. 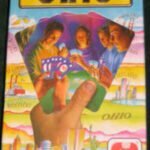 I also love card games, both traditional and Eurostyle. 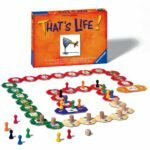 Since I worked so hard on abstracts early in my career, I lost a lot of desire for them, but must point out that abstract ideas can be “blended” into a board game quite well. Martin Wallace’s La Strada is a great example of how an abstract concept works quite well as a “themed” board game. 9. What other game designers have influenced your work? That’s hard to answer because I think most designers really need to “evolve” on their own in order to produce a meaningful body of work. That said, it is inevitable that the body of work out there influences designers. Since I knew him so well from so long ago, I suppose Sid Sackson stood out as a example of someone I tried to emulate. Also, Alex Randolph, whom I had the pleasure of meeting in person about thirty years ago. If you can see their influence in my own work, it is mostly in my early abstract or semi-abstract designs, such as Super 3, Babuschka and Match 3. 10. 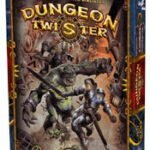 What game you did NOT design is a game you WISHED you designed? Why? Probably Reiner Knizia’s Samurai. Back in the Seventies, 3M had a line of paper and pencil games that eventually flopped but I had a couple that were optioned and a couple more on the table with them. I had finally finished working on one that used a “surrounding” mechanic, as found in Samurai. I left the game in my files for years, pulling it out every so often, looking at it and thinking, this should really be redesigned and rethemed (it was a spy game then). 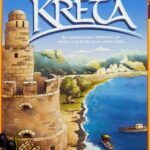 When Knizia’s game appeared, I was upset with myself for leaving such a fine idea undone. But more power to Reiner. Samurai is a terrific game. 11. Do you think the skills and abilities used in playing and designing games pay off in “real” life? Without a doubt. With respect to playing, most games typically involve some type of planning and I believe that exercise certainly helps people in other areas. Also, most games involve some element of luck and one (hopefully) learns to deal with that element by planning for the occasional surprise or disappointment. With respect to design, a successful design should have both of the above elements, the former so that the best player will usually win, the latter so the worst player will occasionally get lucky and win. If a game has one and not the other, it may not “pay off” commercially. 12. Besides designing games, you write about them and have been a frequent contributor to GA REPORT, making your first appearance in its pages back in the Fall 1998 issue (doing a review of Richard Garfield’s Filthy Rich game). 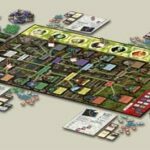 What approach do you follow in writing a game review? Obviously, the rules and the mechanics have to be covered in some depth, so people can decide if the game is right for them. The theme must also be discussed, as well as the components and even the artwork. All fit together to make either an attractive product or not. Given that personal preference winds up being part of the critique, I attempt to be as fair as possible. However, I won’t ever gloss over inadequacies in any game. The reader deserves better than that. 13. Your game, Dynasties, is featured in our 20th anniversary issue. How did this game make its way from idea to finished product? This actually started out as a game that was presented to Parker Bros. more than 25 years ago. 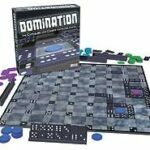 It was a five-column tug-of-war type contest for two players and my objective was to create a very stressful and tense experience. I very probably killed all my chances by titling the game “Stress.” The follow up version was called “Brain Drain,” which only proved how obstinate I could be in the face of adversity. 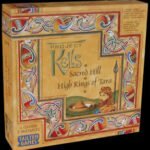 After leaving all notes in my archives for two decades, I was prompted by the renewed success of Kosmos’ two player games to forage through my files and see what I could find. The game turned into cars driving around a city and then lawsuits and judges, before I settled upon an area control theme that seemed pretty cool. Noting that China seemed to be far away from designers’ eyes over the last few years, I chose ancient China for the battlefield. The game played fine but was lacking something that I couldn’t pin down. Then along came serendipity in the form of the interviewer, Herb Levy of Gamer’s Alliance, who suggested the variable score boards. That turned out to be the missing element (thanks, Herb!). 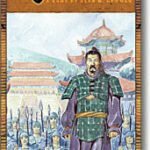 Jolly Roger’s Jim Dietz was pushing for variations, so I included special action cards and special power cards for the two players, representing Sun Tzu and King Shao. Perhaps the Chinese are inscrutable but the variants worked incredibly well and I’m very happy with them. The next step will be to try to expand the game into a four-player version. 14. Your Winds of Plunder game is currently on GMT’s P500 list and nearing that “magic number” for publication. What makes Winds of Plunder worth a player’s investment in money and time? For one, the unique mechanic that drives the game; the winds. Although many of the other mechanics in the game are recycled from things you’ve seen before, the principal sailing mechanic is the heart of the game. If you can either manipulate the winds to your advantage or adapt quickly to the changing winds, you can score well. Also, the game features a heavy amount of player interaction, a feature that I believe always adds value. Toss in an irresistible theme where players can role play their mean piratical spirits and you have all the ingredients you need for 90 minutes of fun. 15. Of your many designs, which do you find most satisfying and why? Probably Super 3, which dates back to 1978. The design went through several incarnations until it jelled, in itself a fulfilling experience. As the finished prototype was undergoing testing, I was very excited to see that so much skill was involved. In fact, if one added a doubling cube, the game’s skill level was on a par with Backgammon. The finished product was aimed at a family market by Milton Bradley Europe and sales were excellent, achieving roughly the 450,000 mark. The game also enjoyed much critical praise, garnering a perfect “6” rating by Germany’s Spielbox magazine and Super 3 was even featured in a review of older games in a 2003 issue of Die-Poppel Revue. At some point, I have to believe it will be published again. 16. Which begs the question: which of your designs have fallen short, in one way or another, in your estimation? For several years, I did free lance assignments for New York based ARC Games and also Pressman Toys. Since those designs were summarily “directed,” rather than born and created from my own inspiration, they fell quite a bit shy of my personal ambitions. Not that they were bad designs, they were actually pretty decent. For instance, Pressman’s Ginnykub and Pokerkub had a fairly wide following, however both left me feeling unenthused. The company was only trying to capitalize on the Rummikub craze and I helped, but I never would have done these games on my own. 17. If you could go back in time, what would you change regarding your personal involvement with games and gaming? I was considering joining Parker Bros. or Milton Bradley at one point, but there’s no way to even guess how that might have turned out. Whatever doubts I had then, I would certainly have now. I do not see the U.S. game industry as either vibrant or particularly savvy at this juncture. However, I might have had a much more prolific career had I moved to California to pursue programming computer and video games. 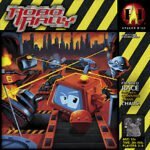 I had programmed four published computer games from 1980-1982 and a couple of them did okay, although piracy was an insurmountable problem at the time. In fact, the folks at Atari once called me to inform me that “….at least 90% of what is out there for your game has been pirated.” That probably influenced me not only to stay in New York but to find another, more lucrative career. Between the piracy of computer programs and having problems with a game agent who was stealing royalties from me, a change in vocation seemed best. So, for the most part, it was usually a case of circumstances beyond my control. 18. What changes have you seen in the gaming world since you first started your involvement with games on the professional level? 19. Game design is challenging and time consuming. What do you do to relax? I play golf, more golf, still more golf and if there’s any other free time available, I like to play golf. I also play games with my games group and good buddies every Friday evening and of course, I look forward to Alan Moon’s Gathering of Friends every April and Gulf Games, when I can possibly attend with my wife and youngest son. Did I mention I like to play golf? 20. Where do you see yourself – and the gaming world – in five years? I would expect to still be designing part time. I really do not want to do anything full time at my age. There’s way too much to do and perhaps not enough time to do it all. Vis-a-vis the gaming world, it is distressing to see so many mediocre efforts thrust at the public by publishers over the last few years. As well, there is a distinct trend towards recycling games that have barely been out of print. All of this squeezes the market and tends to limit the arrival of really top-notch product. Maybe I can alleviate that problem to some degree. I’ll certainly try.